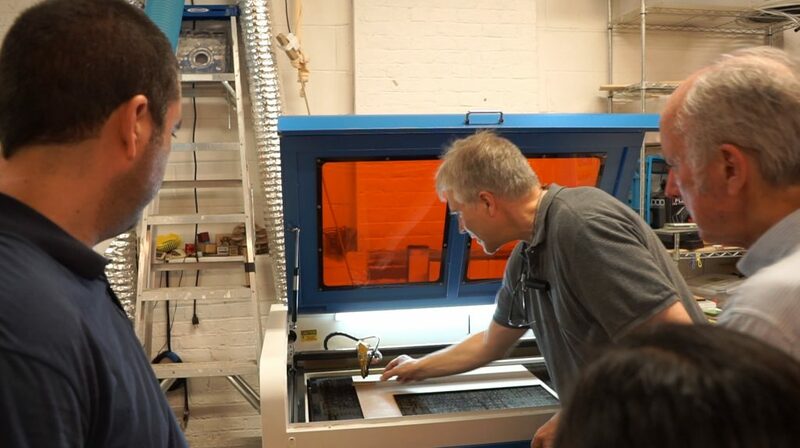 Busy night at the hackspace! We’re still waiting for people to discover our new photo/video/digital arts studio on the 2nd floor. 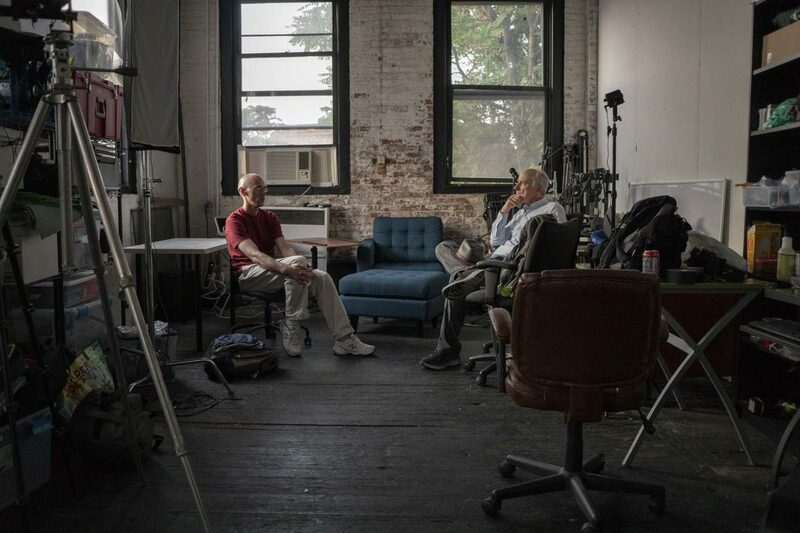 Ed and DC discuss events we can do with the equipment, like the Bogen Light Modulator. 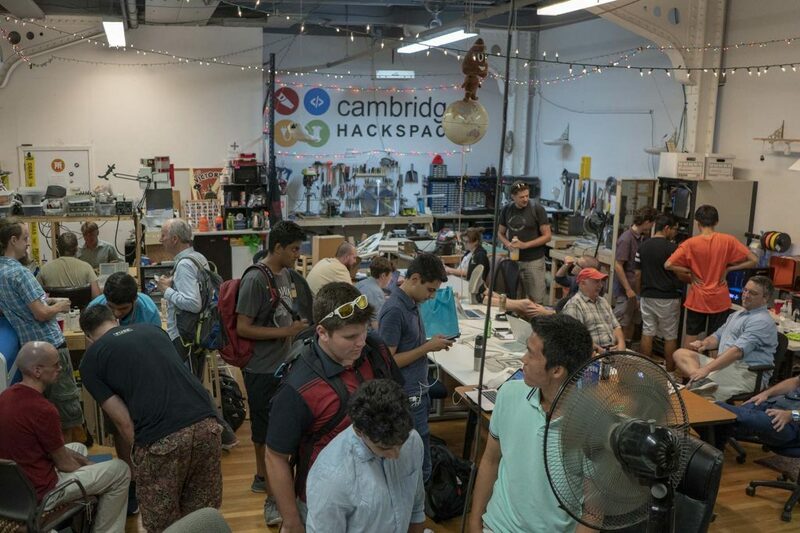 Time to virtualize our Cambridge Hackspace people and experience! Recent tutorial for new 100 WATT laser!